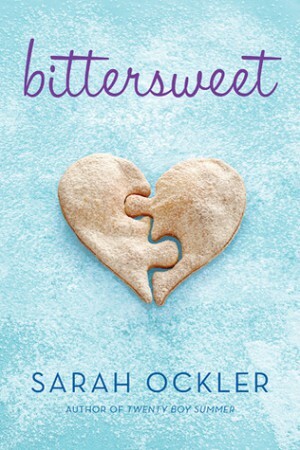 I read Bittersweet after Sarah Ockler reached out to me on Twitter and via email to say that her books are now going to be released in the UK. FINALLY. So being the awkward person that I am, I neither confirmed nor denied that I would promote her books until I read one of them. I had to see if I would like it, didn’t I? So I waited and stealth-read Bittersweet in a matter of days. This was my first Sarah Ockler book, but it certainly won’t be my last. To be honest, Bittersweet didn’t have the biggest impact on me. It’s a cute contemporary novel about a girl who’s trying to acheive her dreams – which perhaps aren’t what she initially thought. It did give me a good sense of Ockler’s writing style, though, and I now plan on reading more of her works. I’m pretty sure if I find a ship to get invested in then I will adore her books. I watched Chalet Girl a few weeks after reading Bittersweet and I can’t help but draw comparisons between the two main characters. Both of them are pretty awesome, but they also have amazing talents. Hudson is a fantastic skater who felt she was forced to abandon her dreams, and the protagonist of Chalet Girl, Kim, was a skateboarding champion who quit because of a horrific accident. This is obviously a good thing because I liked both Hudson and Kim! As I implied above, I wasn’t able to get invested in the ship because there just wasn’t enough substance there for me. I’m sure some people will find it adorable but there was just no chemistry for me. That’s something I think Bittersweet was missing. But that’s not necessarily a bad thing, considering the fact that the book is about the main character and not the love story. There was only one thing that I didn’t like about the book and that was Hudson’s mother. I get that she’s raising two children alone, and I admire her for that because SINGLE MOTHERS >>> (and single parents in general >>>> but single mothers are usually looked down upon more than single fathers, but that’s a whole other rant and I shan’t get into it now), but I also kind of hated her while reading the book. She put far too much responsibility onto Hudson and it made me so mad every time she did. I felt awful for Hudson, as teenagers shouldn’t have the kind of responsibilities that she was given. I’m currently trying to cut down on sugar and processed foods because my diet prior to January was atrocious, so just reading about Hudson’s cupcakes was enough to make me drool. I might have bought a couple of cupcakes the day after finishing this book. Oops. Ultimately, Bittersweet is a cute contemporary that is easy to fly through. It’s guaranteed to make you hungry, and you may well also get a little angry like I did, but overall it was a very enjoyable read and a good introduction to Ockler’s books. I read this book years ago. 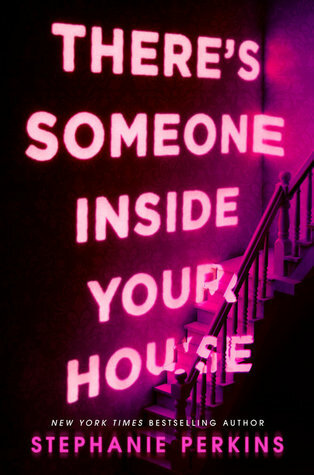 I think this is also my first Sarah Ockler read and I gave it 3 stars as well. It made me crave cupcakes so bad! Oops. Sorry for the multiple comment. You can delete one of them. They’re the same, anyways. Her books are getting released in the UK???? Do you know how excited that makes me? I’ve not read Bittersweet so I may pick it up now. I can’t resist a cute contemporary, I enjoy them so much. I don’t need them to be groundbreaking and I now Ockler is a good writer. My favourite of her books I’ve read is Book of Broken Hearts, it was cute and I loved it and I am definitely investing in a copy now.